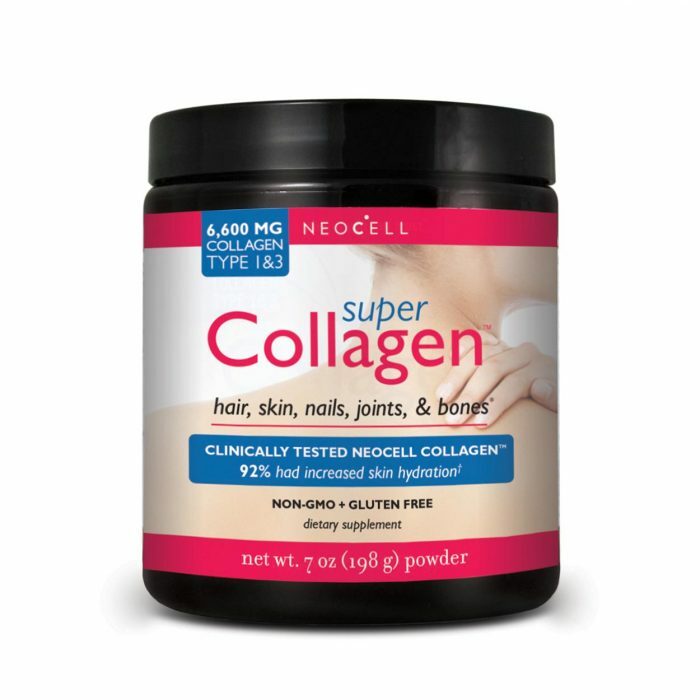 Fans tell us that collagen makes hair, nails, joints and bones stronger and healthier (which makes sense since it is the most abundant protein in our bodies!). But there are so many collagen supplement on the market now that it can be hard to know which one is right for you. Here’s more about the top collagen supplements Pharmaca customers choose, the companies that make them and why these five stand out. Now find your best match! Highly bioavailable, gluten and dairy free and tasteless. If you’re looking for a collagen powder that dissolves quickly in any beverage without changing the taste, this is a good choice (we love it in coffee or smoothies). 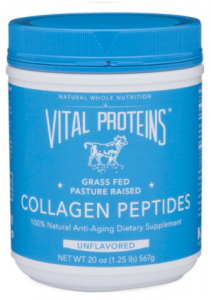 Because this collagen is sourced only from grass-fed cows, you know it’s free of hormone or pesticide-laden feed grains. If maximum performance is your goal, Vital Proteins is know for helping long-distance runners, weekend athletes and those who just want to move better. They make collagen any way you like it, from single-source peptides to flavored collagen, coffee creamers and beauty waters. Contains five types of collagen from multiple protein sources. 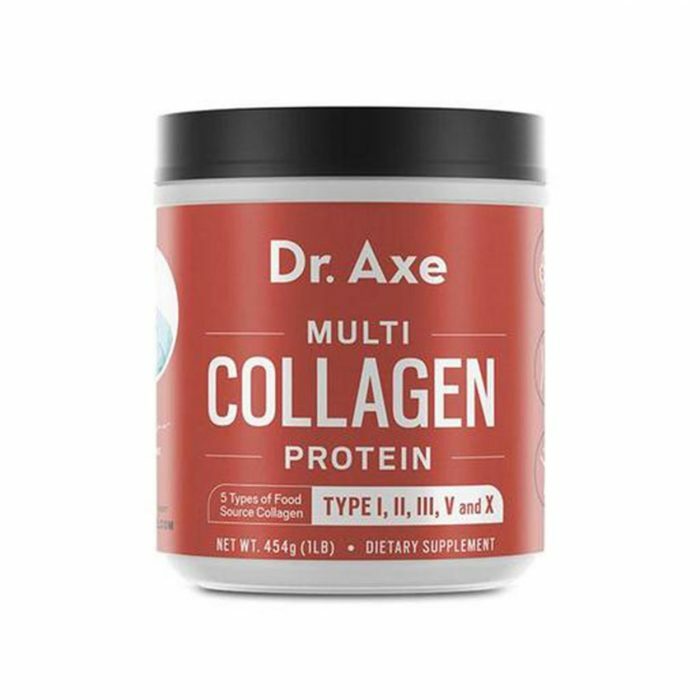 This multi-sourced protein powder provides Type I, II, III, V and X collagen, making it ideal for those looking for all the benefits collagen offers for skin, hair, bones, joints and digestive tracts. 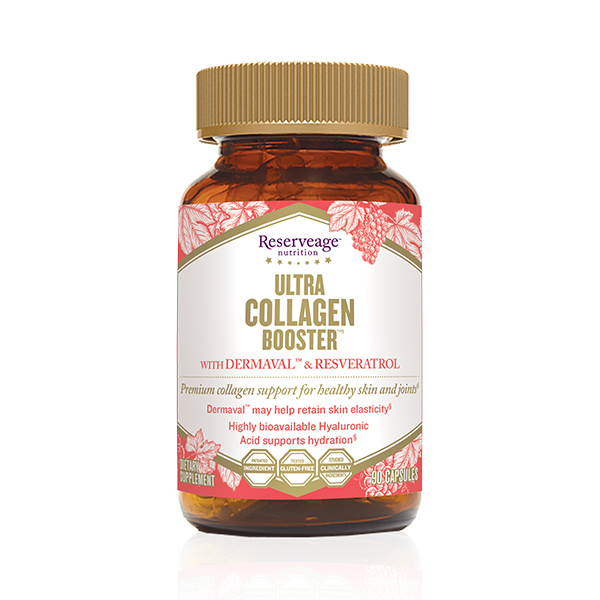 Sourced from cows, fish, poultry and eggshells, it’s a high quality all-around collagen supplement that fans rave improves skin texture, makes nails and hair stronger, eases joint pain and even helps repair irritated gut membranes. If you’re passionate about using food as medicine, Dr. Axe offers guidance to customers on the importance of a healthy gut microbiome and how to incorporate herbal medicine into your diet for optimal levels of health. Proven to increase skin hydration and firmness. With a 90 percent absorption rate due to the company’s Super Collagen technology, this bovine-sourced collagen is made to get into your bloodstream quickly and prompt your body to produce new collagen fibers. 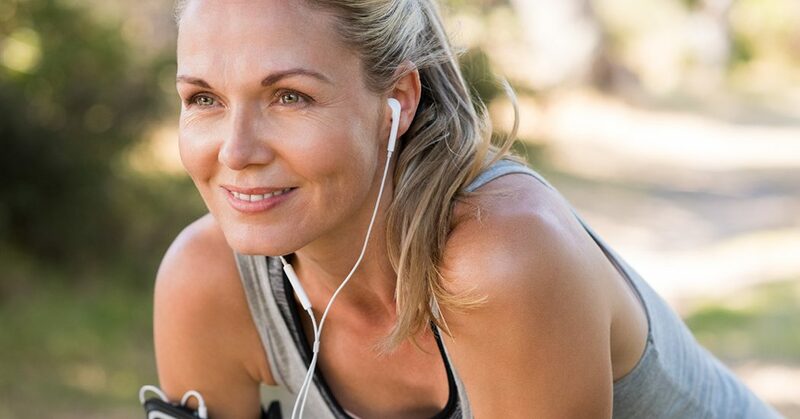 This is important because research says that after our mid-20s, our bodies produce less collagen—and by age 60, we only produce half of what we did when younger, leading to a loss of skin elasticity. If you’re looking for younger-looking skin, NeoCell is a leader in exploring the science of collagen for skin benefits. Provides the benefits of real bone broth in a powder. 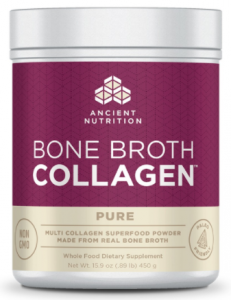 If you’re a firm believer in the health benefits of bone broth (such as joint protection, immunity boosting and restoring gut health) this whole-food collagen powder is a good choice. Made from beef, chicken and turkey broth, it’s a good source of Type 1, 2 and 3 collagens. Followers of paleo-type diets appreciate that Ancient Nutrition makes easy-to-use, whole-food products that adhere to the types of nutritional principles that kept our ancestors healthy and strong. Targets aging or sun-damaged skin. The combination of Type 2 collagen, skin-plumping hyaluronic acid, powerful antioxidants and natural skin-firming botanicals in one capsule makes this all-in-one skin booster an easy addition to your daily supplement routine. Reserveage is a leader in the science of resveratrol ingredients, natural skin-repairing botanicals like Japanese Knotweed and organic French grapes. Flourish: Verb 1. to thrive; prosper; 2. to be at the peak of condition; 3. to be healthy. For more than 15 years, Pharmaca has been a force for change in the natural world, empowering customers to think outside the box when it comes to the way they manage their own health and beauty. This blog offers a little help along the way—including the expertise of our store practitioners and our Integrative Health Advisory Board—so that you can be your most thriving, prosperous, beautiful, healthy self. © Copyright 2017 Pharmaca. All Rights Reserved.